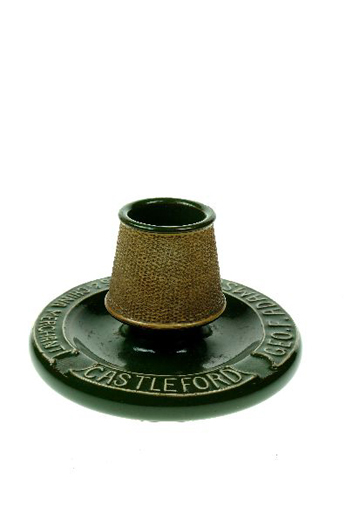 Circular green ashtray with the name Geo.F. Adamson, Glass and China Merchant, Castleford around the rim. This is probably the George F. Adamson who was Manager at Clokie and Co. in the 1930s.